The first annual Comm Ave Charity Classic, a fundraiser for non-profit Compassionate Care ALS, is set for tomorrow (Friday) at BU’s Walter Brown Arena. The contest between rivals of Green Line rivals BU and BC begins at 7:05 p.m. with the doors opening at 6:00 p.m. Ticket and donation information is here. The Terrier line-up features former All-Americans Scott Young, Mike Pomichter, Tom Poti, Shawn McEachern and Freddy Meyer, along with goalie Matt O’Connor from last season’s NCAA finalist squad. 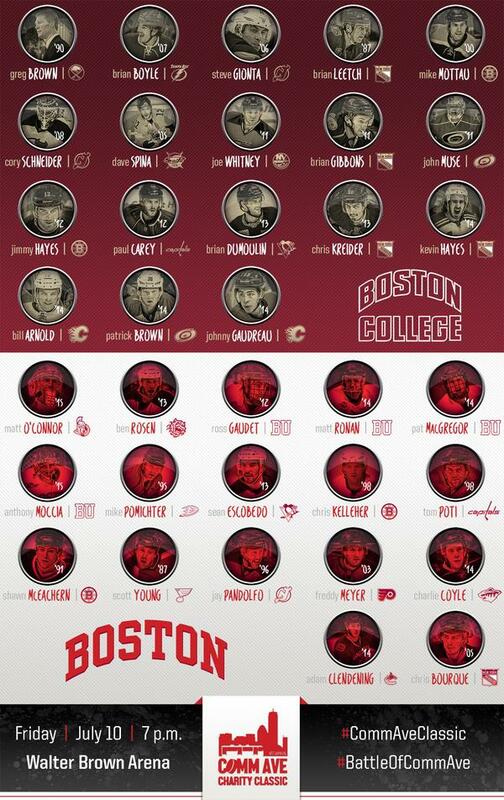 BC’s squad includes Kevin and Jimmy Hayes, Brian Boyle, Johnny Gaudreau and Cory Schneider. In 2014-15, the Bruins added a critical and much-needed component to their staff. 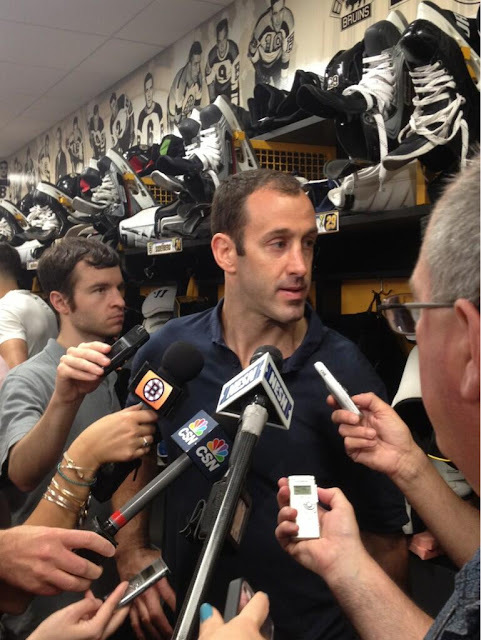 Jay Pandolfo, the Burlington native and one-year Bruin, became the organization’s development coach. Pandolfo’s primary responsibilities were in Providence, where he was charged with monitoring the growth of the club’s AHLers and serving as a liaison between players, coaches, and management. GM Don Sweeney was formerly in charge of player development. Upon Sweeney’s promotion, more responsibility will shift toward Pandolfo, including running the team’s annual development camp later this month. Shinzawa also noted that the 2015 NHL draft was the first ever to have two Hockey East players chosen in the first ten picks, with Jack Eichel taken #2 and BC’s Noah Hanifin #5. 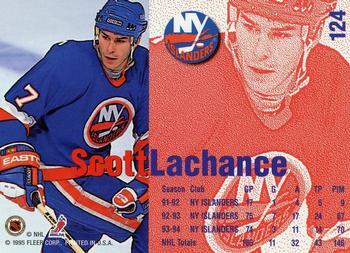 Of the previous six HE players selected in the top 10, four were Terriers: Scott Lachance #4 in 1991, Rick DiPietro #1 in 2000, Ryan Whitney #5 in 2002 and Colin Wilson #7 in 2008. ► AlongTheBoards.com's Al Daniel previews the 2015-16 Terriers, asserting that the defense corp will be the team's strength. ► At Buffalo’s development camp, Eichelmania has fans excited to watch Friday’s Blue and Gold scrimmage. Along with #2 overall draft pick Eichel, former Terrier assistant captains Evan Rodrigues and Cason Hohmann are on the camp roster. ►The Boston Bruins will begin their development camp next Tuesday in Wilmington, Mass., with incoming freshman and Bruins second-round draft pick Jakob Forsbacka-Karlsson and rising sophomore Brien Diffley on the camp roster. 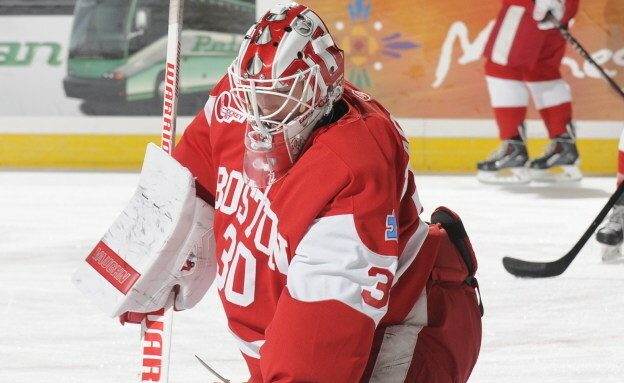 Diffley, who impressed during his freshman season on the BU blueline, also attended Toronto’s development camp. ► Video from the Rangers' development camp final intra-squad scrimmage, features Connor Lacouvee (#90 in blue) and Ahti Oksanen (#89 in blue), who received a shout-out for a pretty goal scored earlier in the week. Lacouvee will participate in a second development camp, having been invited to Blackhawks camp beginning this Sunday. 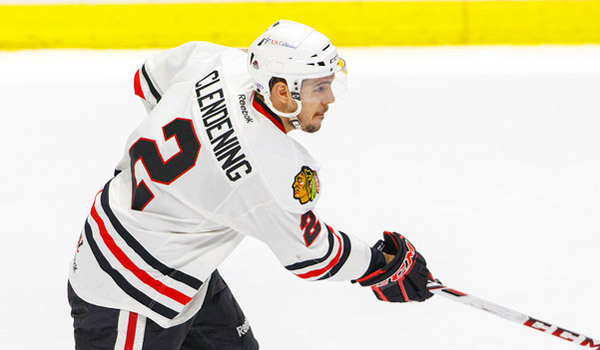 Former Terrier Adam Clendening signed a one-year, two-way contract with Vancouver reportedly worth $760,000. The right-shot defenseman played 17 games for the Canucks last season after being acquired from the Blackhawks. NHL Central Scouting has issued its Futures List of top 2016 draft-eligible players. 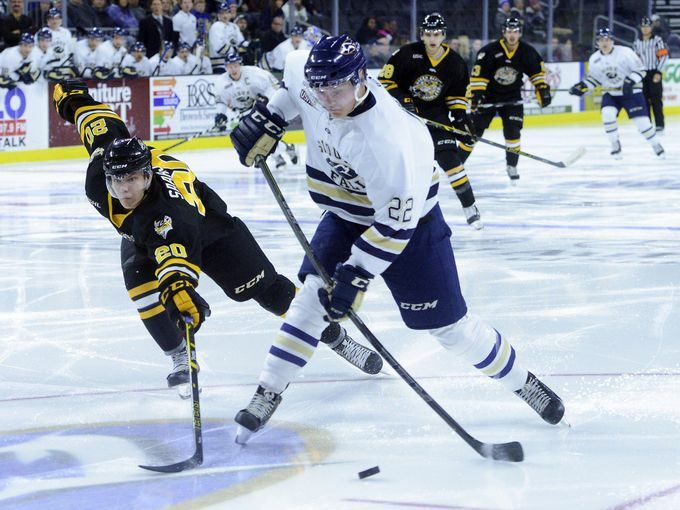 Included are three US NTDP-connected players: incoming freshman Charlie McAvoy, who played for Team USA in the World U18 Championships, earning a gold medal; 2016 recruit Clayton Keller, who also earned gold at the World 18s and returns to the NTDP this season; and 2016 recruit Kieffer Bellows (photo), who earned USHL Rookie of the Year honors and helped Sioux Falls win the league’s Clark Cup championship. He’ll join the U18s this coming season. 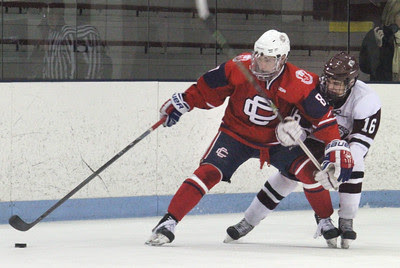 Also on the list is NTDP U18 defenseman Chad Krys, reported to be a Terrier recruiting target for 2016. 2018 recruit Jake Wise is in Vierumäki, Finland, for the annual IIHF international development camp. The 5-10 center who scored 41 points as a freshman for Central Catholic H.S., is one of only two U.S. players, born in 2000, invited to participate. The camp includes a Global Skills Challenge Summit, which is a qualification event for the 2016 Youth Olympic Winter Games.